Prime Minister Ahmet Davutoğlu on Friday announced that Former Defense Minister Vecdi Gönül has been re-appointed to the post following İsmet Yılmaz's election as Parliament Speaker. The Justice and Development, or AK, Party nominated Defense Minister İsmet Yilmaz as the candidate for the parliament speaker position last week. In the fourth round of the Parliament speaker election, the AK Party's Yılmaz received 258 votes, while the CHP's candidate Deniz Baykal lagged behind with 182. Vecdi Gönül served as the Minister of Defense of Turkey from 2002 to 2011. He is currently not an elected deputy in the Grand National Assembly of Turkey (TBMM), but Prime Minister Davutoğlu has said that Turkey will benefit from Gönül's experience and knowledge as he previously served in the position. With Yılmaz being chosen as the next Parliament speaker, discussions of who would be the next defense minister began. 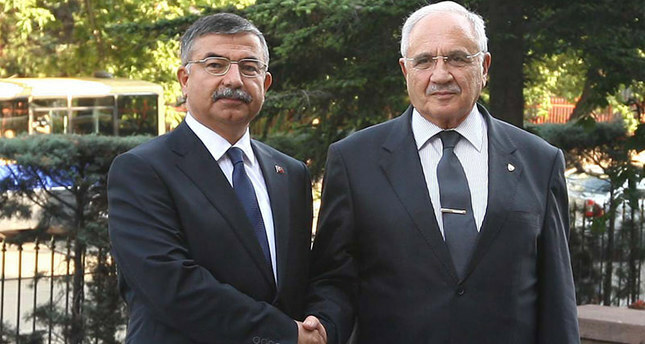 Sources in Ankara previously indicated that Deputy Prime Minister Yalçın Akdoğan and AK Party Istanbul deputy, who is also a major general, Şirin Ünsal, were being discussed as possibilities for defense minister. In regard to the assigning of the next defense minister, Davutoğlu on Wednesday said: "In efforts to not even have a short-time vacancy in the position, considering that the process ahead [referring to the coalition talks] can extend, I will very likely assign someone acting in principle." In this regard, sources in Ankara said Akdoğan and Ünsal were among the highly possible figures. Due to his previous task as a Cabinet member who regularly held talks with the pro-Kurdish Peoples' Democratic Party (HDP) on the Kurdish issue, Akdoğan was believed to be discussed for the position.